TOKYO -- Mitsubishi Motors unveiled a three-year plan to boost global vehicle sales by 40 percent and revenue by more than 30 percent as it rebounds from a fuel economy scandal by strengthening its utility vehicle lineup and targeting rapid growth in the U.S., China and Southeast Asia. CEO Osamu Masuko wants to expand worldwide volume 40 percent to 1.3 million vehicles by the fiscal year ending March 31, 2020, from 926,000 vehicles in the year ended March 31. Masuko also targets a 31 percent revenue increase to 2.5 trillion yen ($22.28 billion), up from 1.91 trillion yen ($17.02 billion) in the fiscal year that just ended, the Japanese automaker said in a news release Wednesday. Mitsubishi plans to increase capital expenditures and r&d investment to help reach the goal. Mitsubishi will boost annual capital outlays 60 percent to 137 billion yen ($1.22 billion) by April 2020. Meanwhile, spending on r&d will increase 50 percent over that period to 133 billion yen ($1.19 billion), the company said. Mitsubishi will also freshen its lineup with 11 model launches over the next three years, including the Eclipse Cross compact crossover heading to the U.S. and Europe. “This is an ambitious program to maximize our strengths in growing product segments, especially four-wheel drive, and to pursue growth in markets where our brand has strong potential,” Masuko said, adding that Southeast Asia was the market with the biggest potential. Dubbed Drive for Growth, the business plan is the first introduced by Mitsubishi since rival Nissan took a controlling 34 percent stake in the smaller carmaker last year. Mitsubishi admitted last year to cheating on fuel-economy ratings for several nameplates sold in Japan. The scandal torpedoed sales at home and opened the door for Nissan’s move. Since then, Mitsubishi has been trying to regroup by promoting joint savings and common development strategies with Nissan and its French partner Renault, the third member of a global auto alliance overseen by Carlos Ghosn, who also serves as chairman of Mitsubishi. Mitsubishi has already adopted some streamlined management strategies from its new alliance partners, which are contributing positively to earnings. Nissan and Mitsubishi have also established 32 cross-company teams to pinpoint areas of cost savings and technology sharing. Under the new plan, Mitsubishi targets a 10 percent market share in Southeast Asia, one of the regional markets where the Japanese company already enjoys a strong foothold. But Mitsubishi also aims to bolster its business in the U.S. and China. In the U.S., Mitsubishi forecasts a 30 percent sales increase to 130,000 vehicles over the three years, while it aims to double sales in China to 220,000 units. In Southeast Asia, Mitsubishi wants to lift sales 50 percent to 310,000 vehicles. The automaker expects its European sales to be 220,000 by end of the plan. It did not give European numbers for the latest year. By the end of the plan, Mitsubishi said it expects its five best-selling nameplates to account for 70 percent of its global sales. Those models will include crossovers, SUVs and plug-in hybrids. Mitsubishi said it will also offer electrified variants of its core models, including minicars, from 2020. Cost savings will help bolster earnings as Mitsubishi chases an operating profit margin of 6 percent over the next three years. That would be up from 0.3 percent in latest fiscal year. 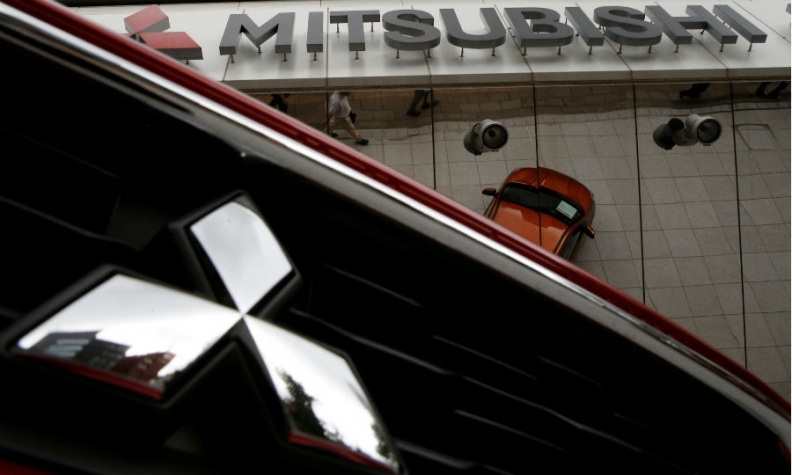 Leaning on the alliance with Nissan and Renault, Mitsubishi said it envisions savings of more than 100 billion yen ($891.3 million) over the course of its upcoming business plan. Most of the reduction will come from shared procurement and avoided r&d costs.